Reposting Tu B'Shvat feature from February 1912. Updated with picture of first Hebrew radio broadcast. 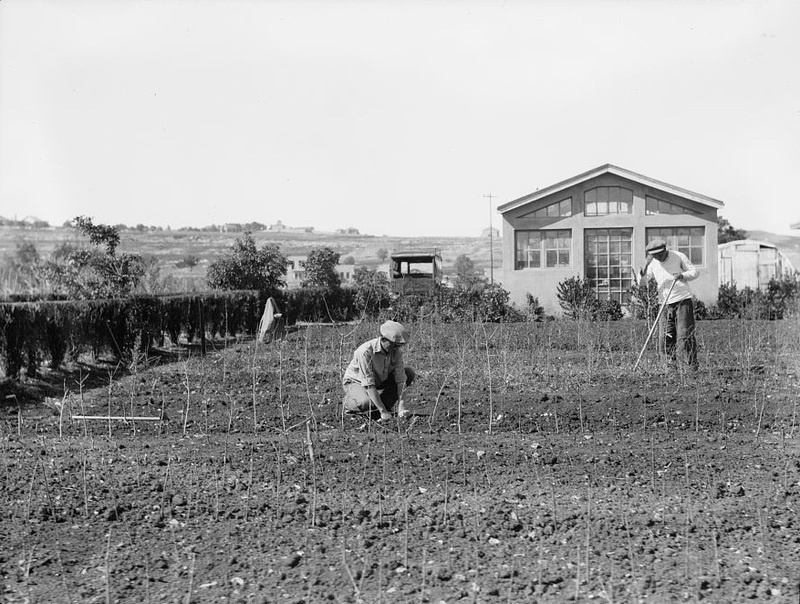 The Jewish National Fund was established in 1901 to purchase and develop land in the Holy Land. 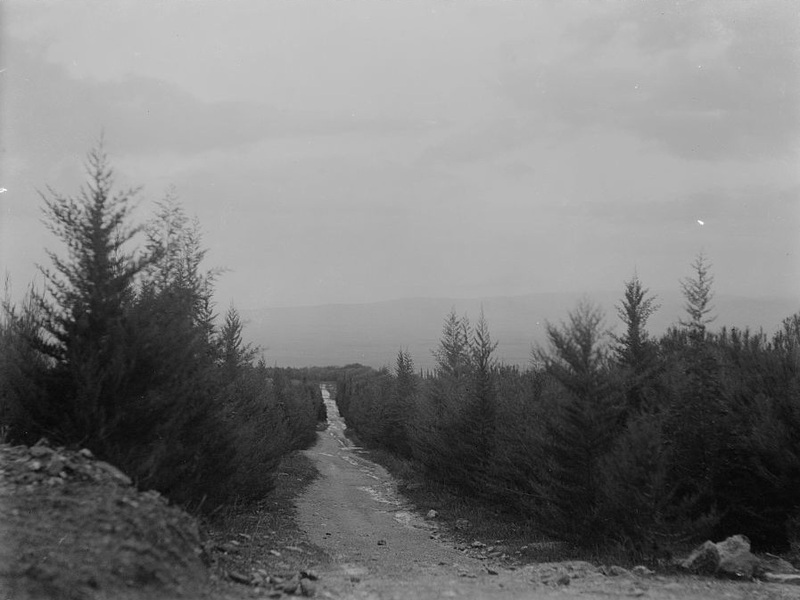 A government tree nursery on Mt. 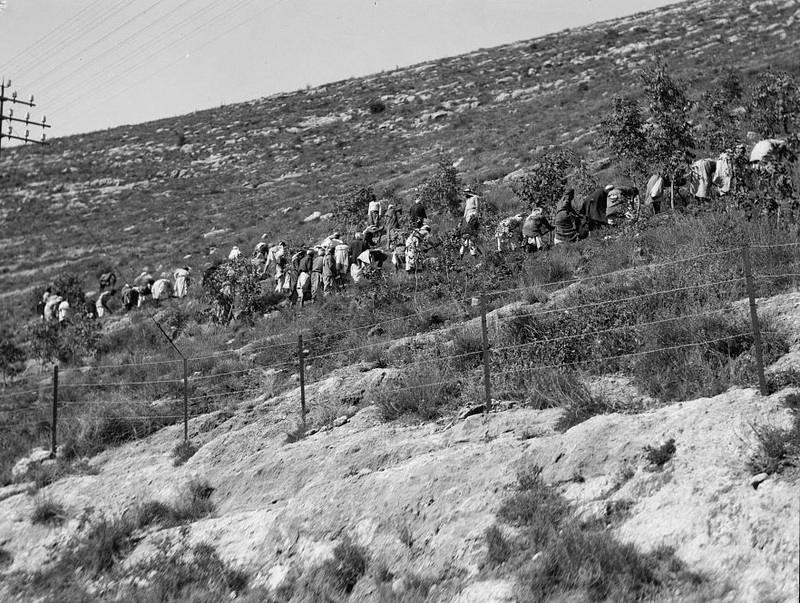 One major activity of the JNF, or in Hebrew the Keren Kayemet LeYisrael, was the planting of trees on Jewish-owned land in Palestine. Many a Jewish home had the iconic JNF blue charity box, or pushke, in order to buy trees. 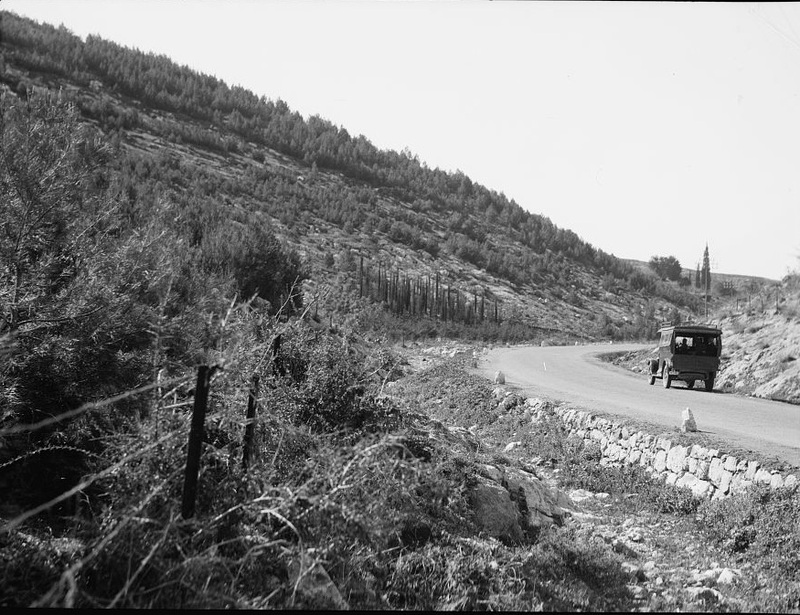 In its history, the JNF is responsible for planting almost a quarter of a billion trees. 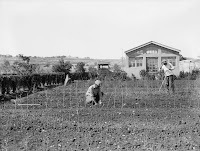 The photographers of the American Colony recorded the JNF's efforts. 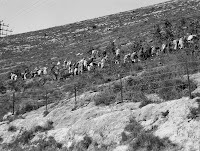 The day chosen for school children and volunteers to go out to the fields and barren hilltops to plant trees was Tu B'Shvat, the 15th day of the Hebrew month of Shvat, a date assigned thousands of years ago in the Mishna for the purposes of determining the age of a tree and its tithing requirements. 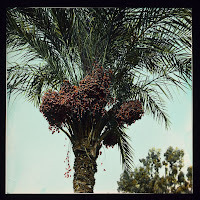 Indeed, the date usually coincides with the first blossoms on the almond trees in Israel. 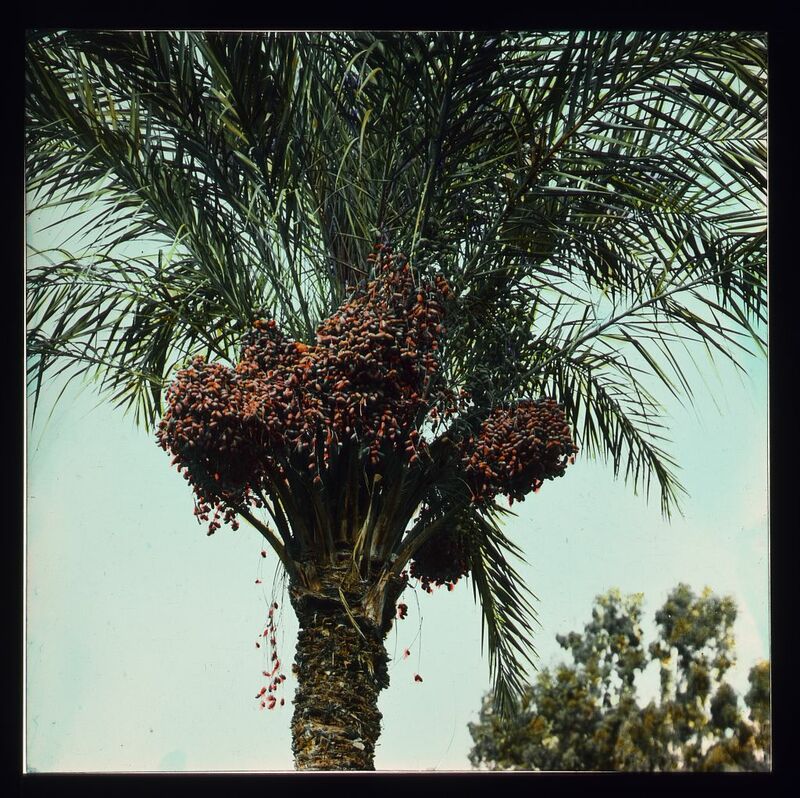 Today, Tu B'Shvat is commemorated as a combination of Arbor Day, environment-protection day, a kibbutz agricultural holiday, and, of course, a day for school outings and plantings. 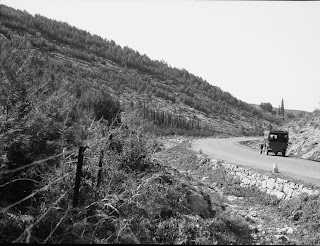 In 1935, the Jews of Britain and the JNF established a "Jubilee Forest" near Nazareth. 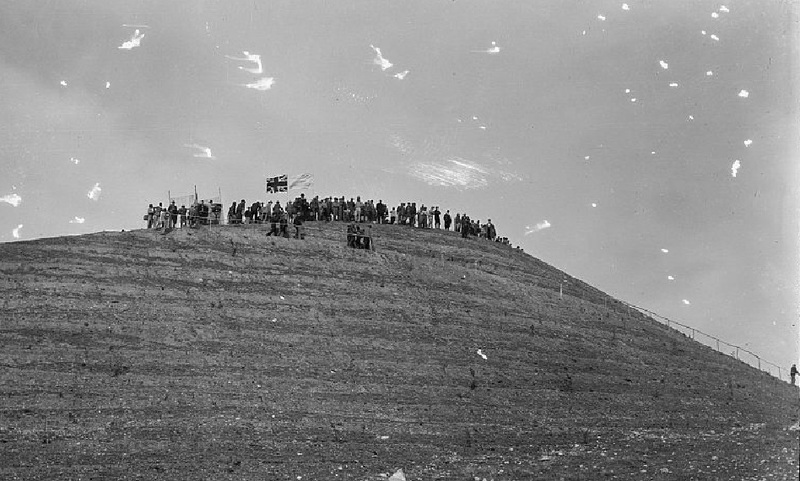 According to the Jewish Telegraph Agency's account at the time, an "oriental cypress tree presented by King George V of England to the Jubilee Forest in the hills of Nazareth will be formally planted by High Commissioner Sir Arthur Grenfell Wauchope on December 19." "The Jubilee Forest is British Jewry's mark of loyalty and devotion to the throne, expressed on the occasion of the royal couple's twenty-fifth jubilee. It will cover a large area of desolate and barren land on the hills ﻿﻿of Nazareth which in ancient times were famed for their forest beauty. 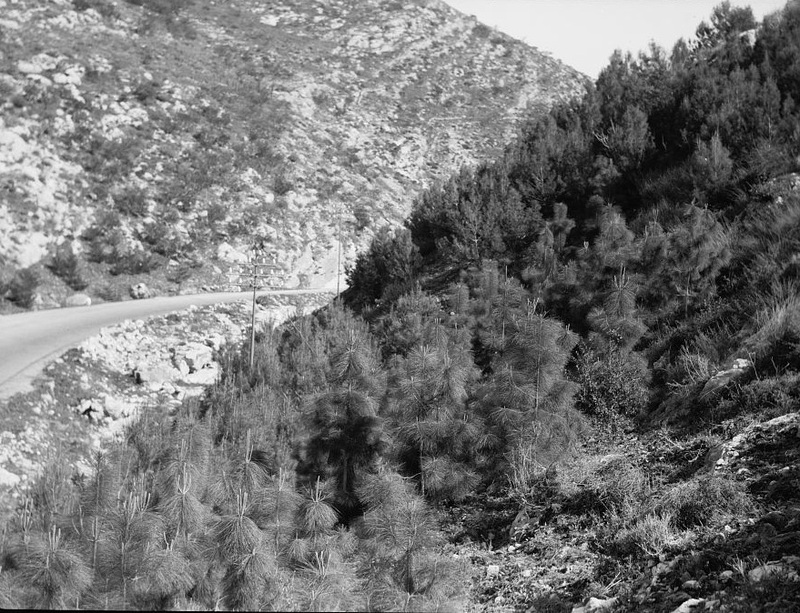 The forest constitutes the most important effort in reforestation of the Holy Land." "The tree shipped by King George was removed from Windsor Great Park in London, where it was the only one of its kind. It is the first ever to have been shipped from England to Palestine."